This Finals DVD showcases many of Germany’s finest physiques of the 1980s. The 4 superstar Guest Posers were: BILL PEARL, RONALD MATZ, RAMSFORD SMITH and GABRIELE SIEVERS. 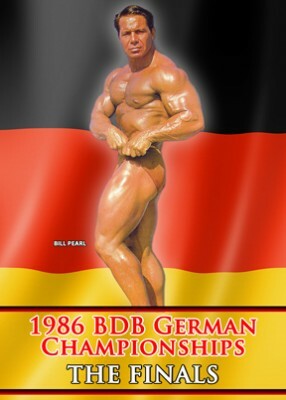 This Finals DVD showcases many of Germany’s finest physiques of the 1980’s. Here are the DVD contents in order seen in this outstanding quality contest DVD.